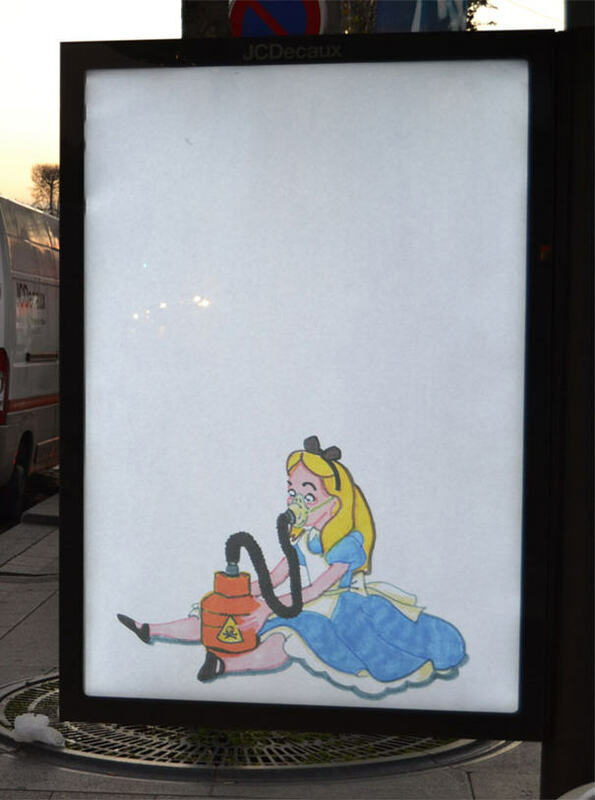 Calling it Brandalism, they are creating fake ads meant to send a serious messages about the links between advertising, consumerism and climate change. 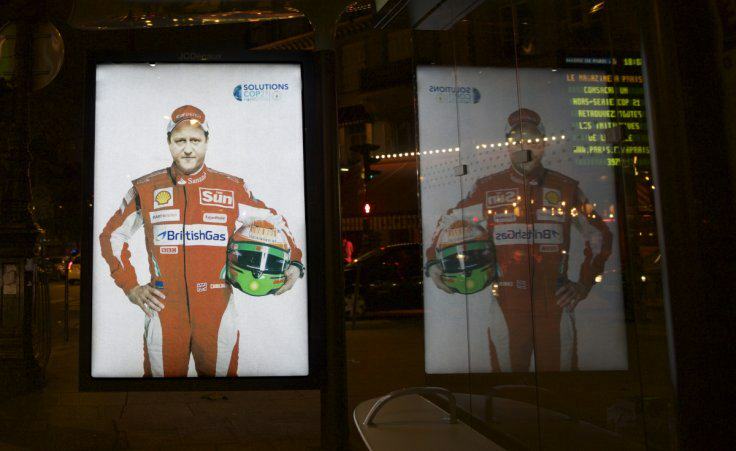 600 fake posters condemning major corporations have been installed at bus stops around the city by Brandalism, a UK-based project. 82 artists from 19 countries join them in the fight against corporate control in advertising. The campaign, which aims to highlight the links between advertising, consumerism, fossil fuels, and climate change, is actually a collaboration between artists from all over the world—not just within France. 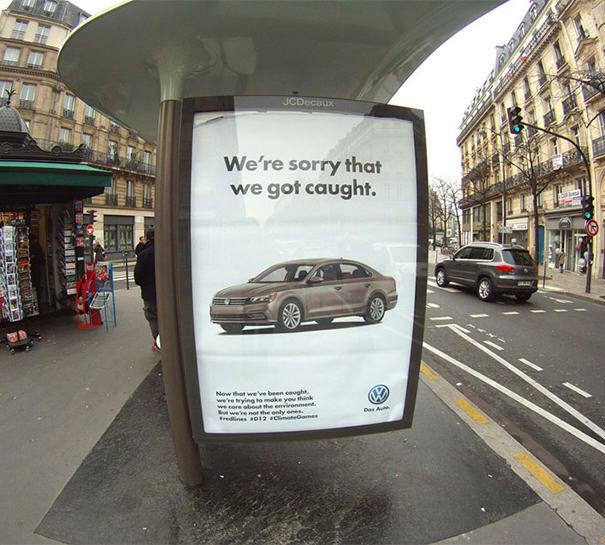 Each ad parodies a different corporate sponsor of the COP21 from Volkswagen to AirFrance. World leaders aren’t exempt either, apparently, with Francois Hollande, David Cameron, Angelo Merkel and Barack Obama also featured. By sponsoring the climate talks, major polluters such as Air France and GDF-Suez-Engie can promote themselves as part of the solution – when actually they are part of the problem. Because the advertising industry force feeds our desires for products created from fossil fuels, they are intimately connected to causing climate change. We are taking their spaces back because we want to challenge the role advertising plays in promoting unsustainable consumerism. The posters are pretty brilliant, with environmental messages aimed at the world leaders and to raise awareness of the hypocrisy of those sponsoring the event and what horrendous things they are doing to the planet. The event has also come under scrutiny, after undercover police cracked down on anyone questioning the sponsors of a corporate “Solutions 21” event in Paris, which many argue is an attack on free speech. The video uploaded by New Internationalist shows several summit goers speaking out against big companies being silenced and taken away by undercover police. Amongst those are also journalists reporting the event. We can only hope these messages get through. This corporate greed at the expense of the planet isn’t right.